Apart from Concrete mixer, batch plant, weight batcher, there are special equipments available today to make the construction work faster. 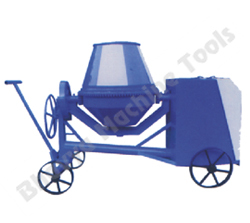 These equipments are suitable to handle heavy or big level of construction projects. For higher level of building requisites like multi-storied buildings, big commercial complexes and multiplex and similar projects shifting of concrete mix remains a difficult task; however, with innovative components like tower hoists and Slab Trolleys with Rails the process of transiting has been made very reliable, fast and easy. 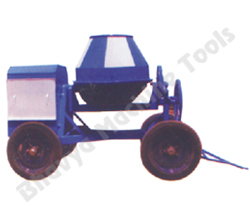 Slab Trolley is a versatile equipment used to transit ready mix concrete from one location to other. However, this equipment operates in horizontal direction and stays very helpful to make over building work that takes place in single plane. Slab trolleys can hold up to 0.3 cubic meters of ready mix concrete. Slab Trolley operational safety norms is a mandatory operational requirement which have to be strictly followed in construction sites. Tower cranes used for transiting concrete mix and apart from that there are certain significant advantages with tower hoists such as easy to mobilize, cleanliness during operation, reduces the cost of hiring vehicles used to transit ready mix component. Similarly, while analysing the environment and health safety this equipment stays a suitable option to avoid risk of polluting the site. Erection and commissioning of tower hoists is a complicated process and to obtain a safe operation it is mandatory to seek the help of experienced professionals. Similarly, personal safety while handling the operation is more important as well. Working with tower hoist or tower cranes is a risky job indeed if personal protection and operation instructions are not followed as instructed in the manufacturer manual. Similarly authorised regulations are also imposed with code of practise in order to maintain safe working environment. Maintenance is considered mandatory to work with tower hoists as well as slab trolleys. Proper and periodical examination is compulsorily required to avoid sudden failure of cranes; hence, these types of construction equipment have to be operated with experienced operators who will also take care of the maintenance part. Erection of the crane should be carried out with the help of skilled and experienced people as it requires good training. Similarly, it is mandatory to follow the manufacturers’ guidance notes before starting with the application. 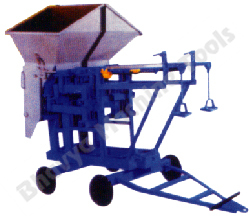 We are pioneer in supplying machineries for wide industrial applications. For ease of construction, builders can find excellent equipments available at affordable price. 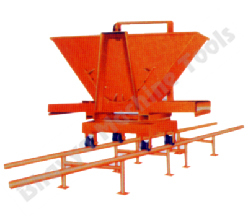 Apart from concrete mixing device, We also provide concrete transit tools like vibrating plate compactor, tower hoist channel and angle type, slab trolley with rails, concrete block machine and further more information visit- https://www.bhavyamachinetools.com/profile/. They supply tower hoists with varying height and load capacities. Construction equipments make the work faster however, safety norms have to be followed strictly for uninterrupted operation. Why do Moderate Construction Projects Deserve Mobile Concrete Mixture?